We build Custom Software for specific Market Niches or Startups, where there is nothing developed yet or any packed software out there that fits our Client needs. We enjoy using our mobile devices every day, that’s why we love building Mobile Apps focused on user experience that help improves people's lives! World is changing continuously, that’s why we adopted Agile Methodology as our de facto way of working that allow us to deliver incremental software updates, meanwhile the client is able to respond faster to market changes. Companies need software that enables productivity with access to information anywhere on any device. Our focus is to create API oriented software, deployed on the cloud, so it can integrate seamlessly with other systems; replacing outdated packaged software with flexible custom systems that provide superior return on investment. 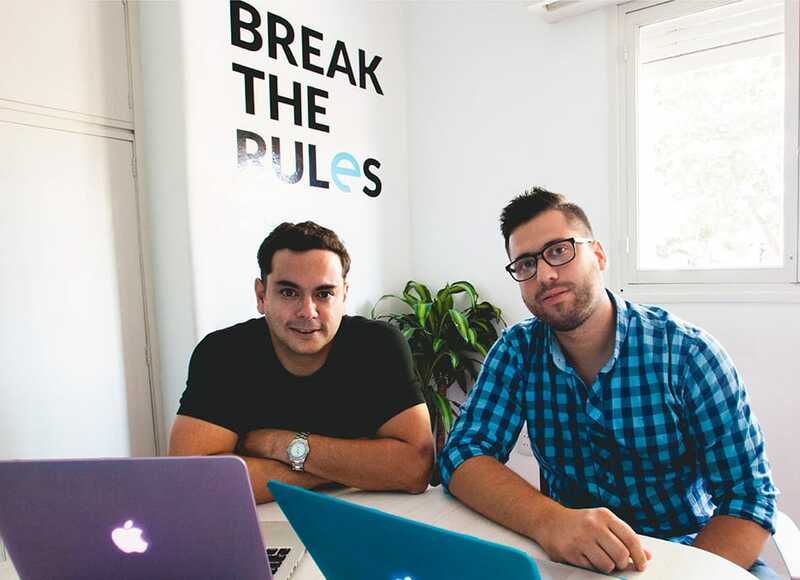 Startups need to be agile to respond to constantly shifting opportunities and priorities. We offer flexible solutions using proven techniques and technologies, allowing our clients to get to market faster and to constantly evolve with user feedback. Today mobile apps are an integral part of our everyday lives; facilitating commerce, communication, and relationships. We build apps with razor sharp focus on the user experience and test thoroughly across both iOS and Android to insure a consistently outstanding experience! Our deep experience across a variety of industries allows us to guide our clients as they address daily issues and opportunities. By understanding the fundamentals of their business processes we weave technology into their strategic visions to help prioritize quick wins without jeopardizing long term goals. As a technology company with locations in Argentina and the United States and clients across the globe, we specialize in niche software solutions for a variety of market needs. Our clients consistently find that the adaptability of custom software gives them significant advantage over their competition. When prepackaged software and services simply don’t fit in with your daily processes...or perhaps just don’t fit your budget...we can help. So, regardless of whether you have an established business looking to improve current processes or a startup trying to make a new idea a reality, we have the tools and the talent to get the job done! and at the same time gives us agility on the process. We schedule meetings with our clients to understand their needs and analyze their opportunities, creating a list of features and organizing them into a development roadmap. We then suggest a technical architecture based on our experience and execute in short iterations so that we can get regular feedback. 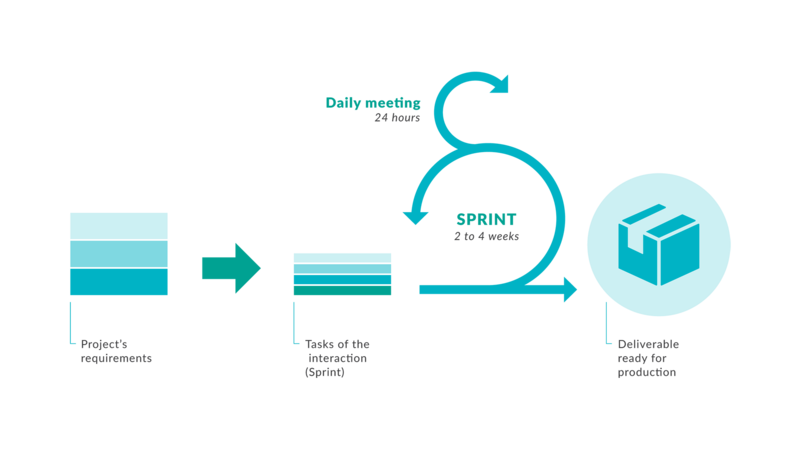 We use SCRUM for the development process working in short iterations (sprints) and delivering usable software at the end of every sprint. Daily meetings give us plenty of opportunity to track the status and progress of each task. We do QA to guarantee code quality and usability and schedule regular demos with our clients to evaluate the progress of the project. We can Refine the deliverables based on the team's suggestions and client feedback. After each iteration we deploy to a staging environment where the client can test and confirm that the scope has been covered and quality meets expectations before we release to the production environment. 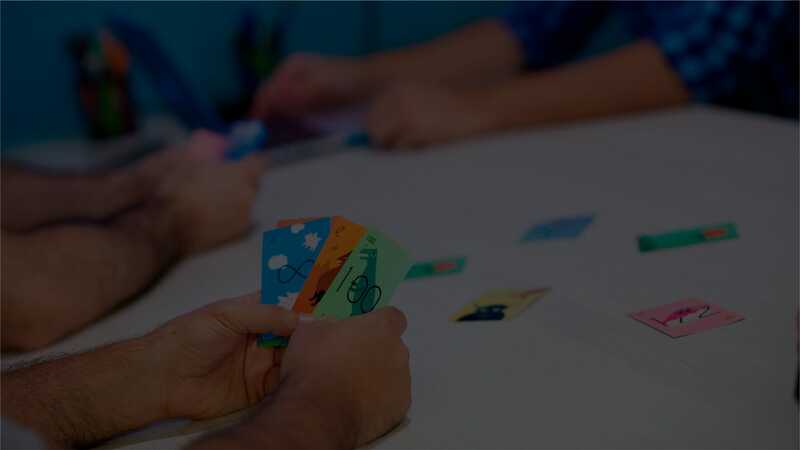 We use agile methodologies like SCRUM and KANBAN to organize and prioritize tasks according to constant client feedback so that you are always informed and involved in the process. Working with the team at Endeev has been so much more productive than our previous development contractor. Communications are clear and we have weekly meetings, allowing us insight into the progress of our projects and guidance on which features we can build first to solve immediate needs while creating a more stable management system for our company and vendors. 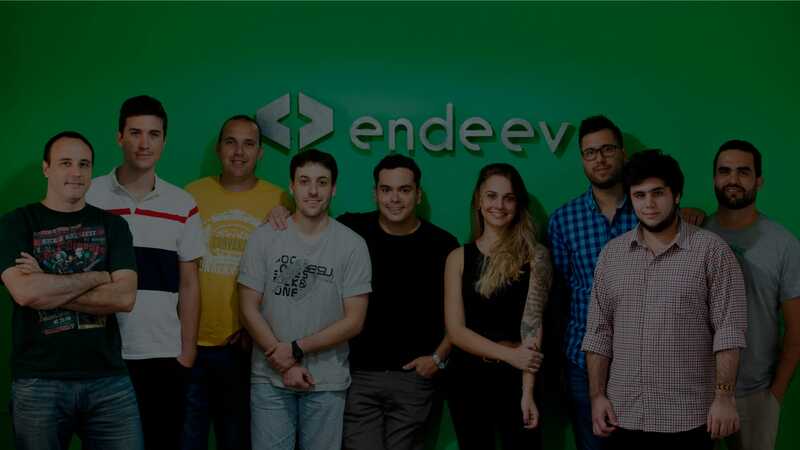 After a few visits from the Endeev principals and a roadmap planning trip in their offices in Santa Fe, Argentina, they truly have become our development partners and feel like an extension of our internal team. Endeev is an exceptionally professional organization. Trustworthy, communicative, meticulous, and flexible. It truly has been a pleasure working with them. I look forward to collaborating with them more in the future and recommend their services to anyone in search of design and development resources. 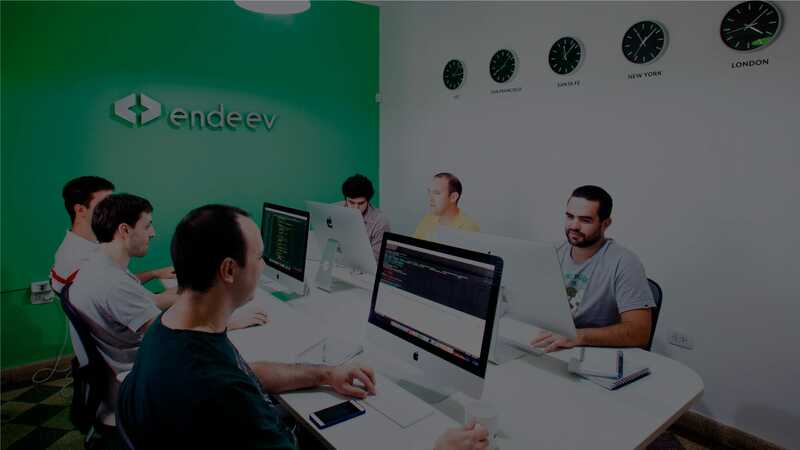 Endeev has set the bar for my expectations from a provider of software and software development. The Team is experienced, versatile, and responsive. Their ability to manage expectations and meet deadlines has allowed us to more efficiently prioritize and plan our development in other departments. Priorities often change in a growth environment, and the ability to trust and rely on your software team is invaluable. If you’re looking for a flexible solution tailored to your business needs, talk to Endeev. He was Manager at Accenture, where he worked 10 years from 2004 up to 2014, leading IT and Process Reengineering Projects, using Technologies like SAP, Oracle, and other custom developments, working for companies like Techint, Honda, Volkswagen, AB InBev and Unilever. He is a Technology Leader, who works with passion to deliver great products, he lead and manages teams to achieve those goals. He has more than 10 years of experience on software development, spending the last years working on Cloud Computing, Mobile Apps and System Optimizations. He has more than 20 years working on different development projects, like multimedia, productivity, ERP and ecommerce like Magento. Building complex cloud environments on Amazon with the latest technologies. He’s dedicated and a great technology researcher. He is a developer with a lot experience as freelancer and also working in different companies, projects and technologies. He is a dedicated and passionate developer who likes to learn but the most importantly he loves his job. His speciality is Frontend Developer with focus on User Experience. He is a developer who pursuits team best development practices. He is obsessed about code quality, simplicity and reusability. Methodic, purist and organized on his work. In the lasts years he has developed PHP applications using Frameworks like Symfony and Laravel. He is Web Developer with more than 10 years of experience, working on Web based applications, Management Systems and Ecommerce. He has worked with PHP Frameworks like Zend, Symfony, Laravel, Kohanna and Cake. Self-taught who likes to learn the latest technology tendencies. He is an Information Systems Engineer, a proactive person interested in new technologies and teamwork. He has experience in systems analysis and development. Especially with distributed systems, cloud computing, web services and web and mobile applications. He began designing and developing systems, promoting agile methodologies and best practices. Since then, he has focused on analyzing each scenario in order to simplify the tasks of a process and to facilitate the usability of a product, prioritizing the end-user experience. Tech fan and software enthusiast mainly focused on Web applications. Passionate about learning how to make awesome things. He’s primarily focused on Automated Tests, API Performance and Security. She is a numbers lover! Always proactive pursuing greater efficiency. She has developed job experience while managing finances in Software Companies. She is currently in charge of Endeev’s Accounting and Finances Area. to a group that likes to dream and to challenge paradigms"
© 2019 Endeev SRL. All rights reserved.